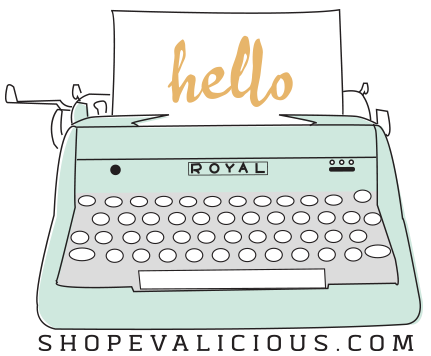 Laura here today, sharing my latest DT project. 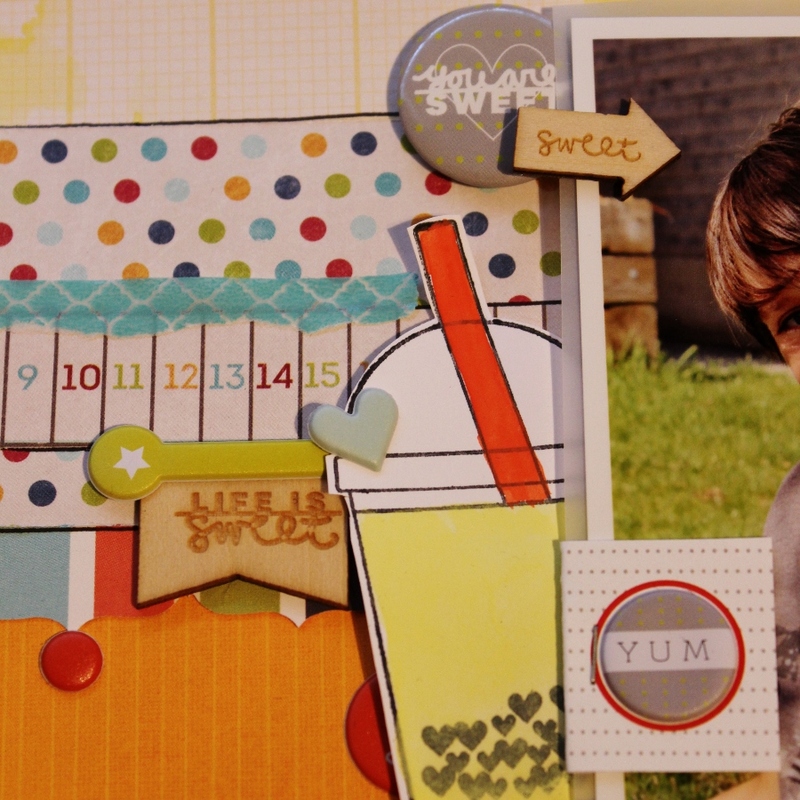 I was inspired by all of the new Life's Sweet goodies to create this page of my youngest enjoying a frozen lemonade. Lemonade has always been his beverage of choice and we dare not run out, but frozen lemonade is all the better and such a treat for him. Life's Sweet is full of vibrant colours and darling icons, I dug through my stash of papers and pulled out some great colours to coordinate with these goodies. 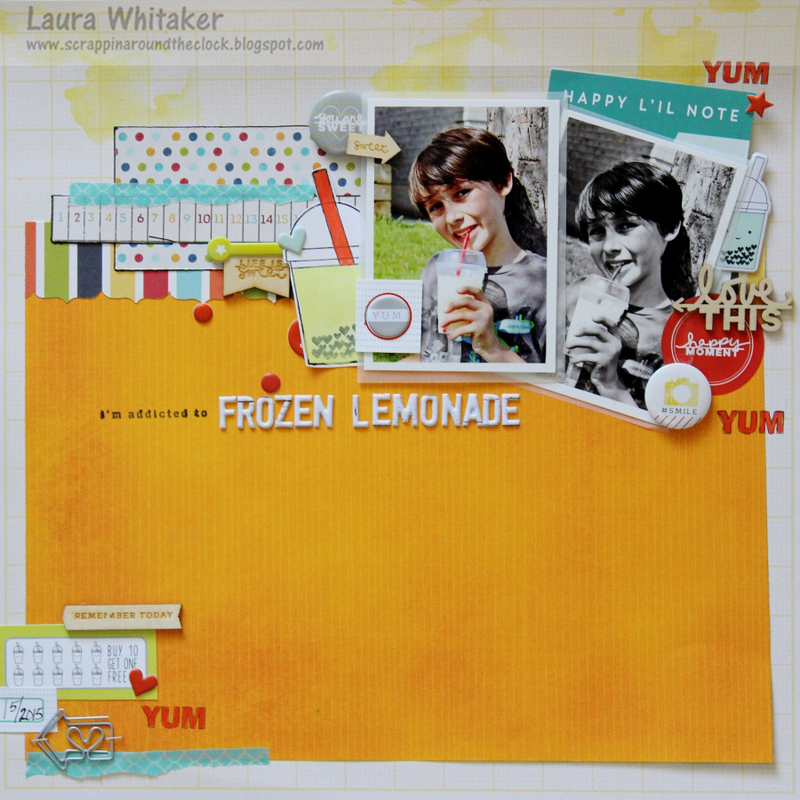 I opted for a lot of white (or orange) space on my layout and several layers behind my photo. 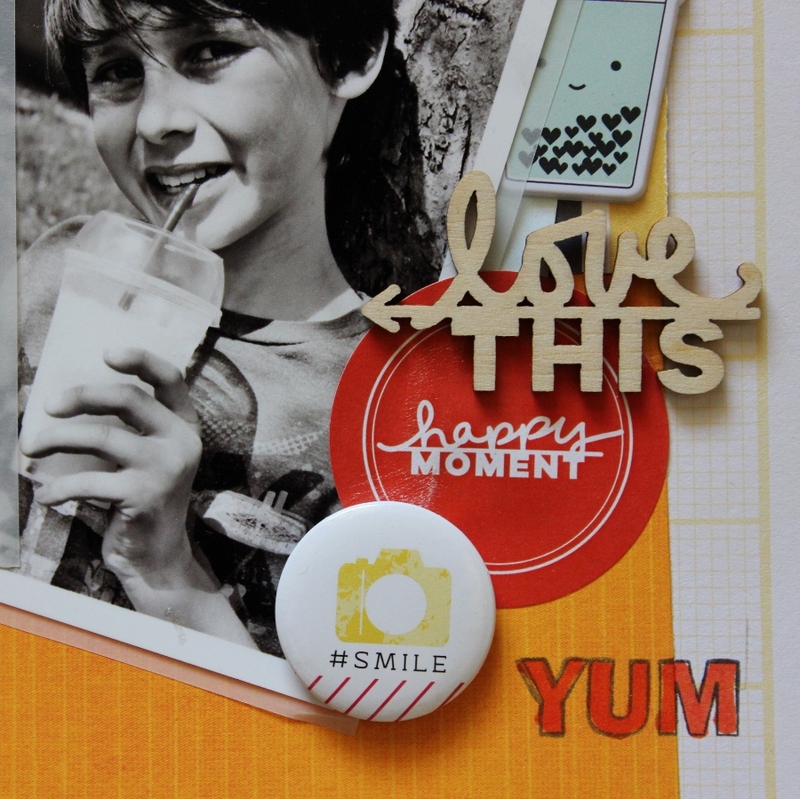 The stickers, badge buttons and wooden accents layer up so perfectly together. 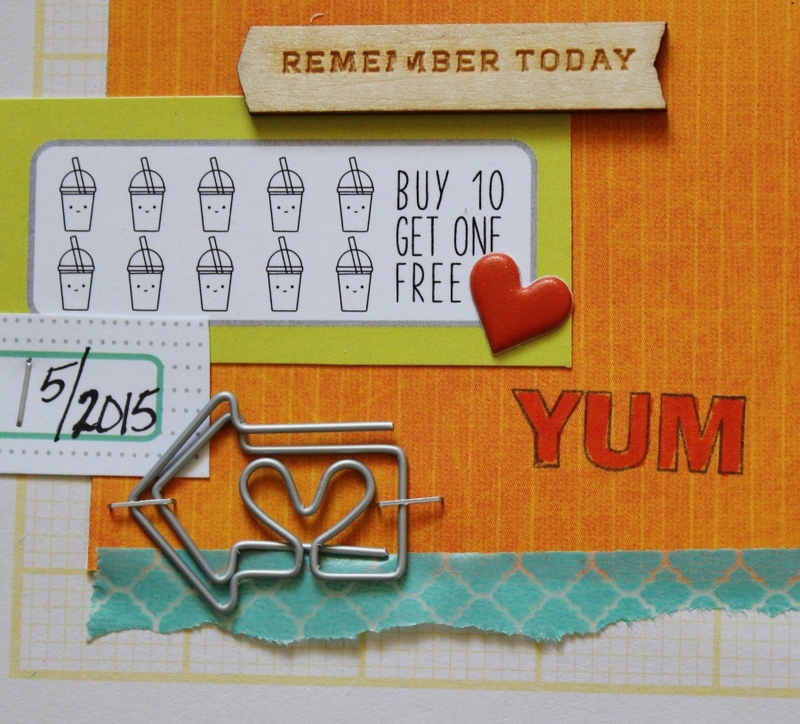 I also added a bit of stamping onto my page and used a Copic marker to add colour to the stamp. Combining the puffy alpha stickers and a stamp to create my title worked out great, it is te perfect size for my page. I like to pull in and layer a variety of elements like the labels and page tabs to create a small embellishment cluster on an opposing corner when I leave a lot of white space on my page, I love the look and it means I get to add more goodies to the page! I also stamped this adorable cup with the little hearts in it and coloured it with water colour paints. Although this little cup was designed to represent bubble tea, is just perfect for any sweet bevie! Other Supplies - patterned paper: Jillibean Soup, Echo Park and Bo Bunny; Tim Holtz Tiny Attacher; My Mind's Eye Washi tape; Momento ink; Copic marker; water colour paints; black Sharpie. I like the idea of stapling the paper clip to the page! This is such a summery layout... I love it!